GKN Powder Metallurgy, the global leader for innovative engineering and high-performance metal laser sintering has open access to their 3D production capacity with instametal.online. They implemented the 3YOURMIND eCommerce platform to provide a streamlined online portal for their global customer base. The simple interface allows GKN to accept orders 24/7, ensure 3D model are optimized for 3D printing and provide even better customer service. The digital management tools also guarantee higher machine-uptime and ensure accurate production and streamlined workflows. 3YOURMIND’s on-demand production marketplace is becoming a cornerstone to maintain GKN’s competitive edge. GKN manages a distributed manufacturing network that provides the highest quality metal sintered components in the world. But staying competitive in this rapidly developing marketplace requires providing that reliable output with short lead times. To digitize their production workflow, they turned to 3YOURMIND’s eCommerce platform to provide online access, ensure production quality and actively manage that production chain. This highlights one additional step towards GKN’s Industry 4.0 initiative. The primary goal for GKN was to make their technology easy and accessible for everybody need for GKN was with a single online entry point to a distributed network of digitized 3D production centers with automotive and industrial background. 3YOURMIND’s eCommerce solution provides exactly that online solution, white labeled to match their specific brand. 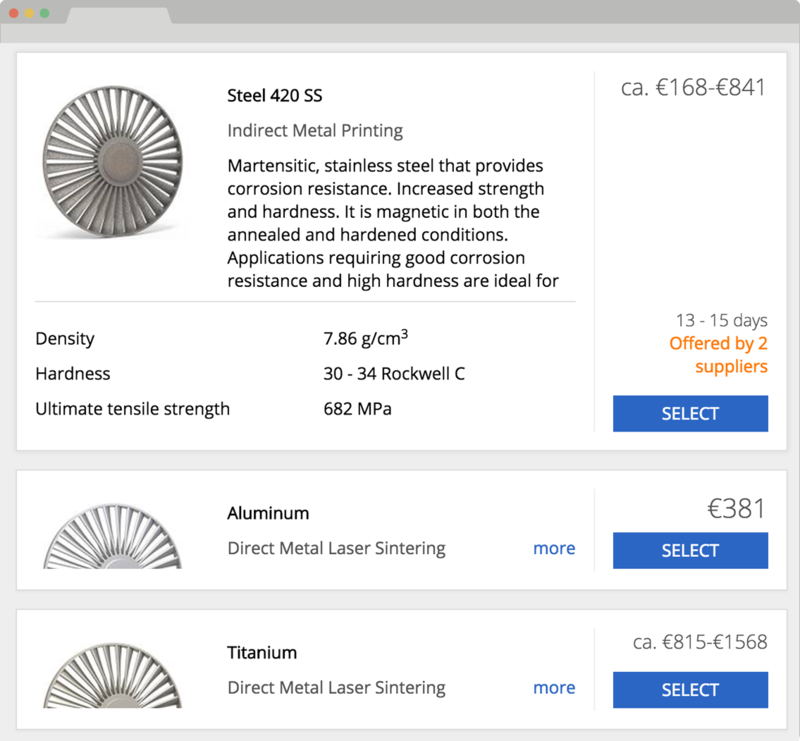 Engineers and designers can access a real time comparison of delivery time and cost comparison from INSTAMETAL’s industry leading services. The automated quoting process also helps engineers make intelligent decisions when selecting materials and production facilities to keep projects on-time and on-budget. It is a huge advance for the rapid prototyping that has come to define modern production processes. The platform also helps GKN provide better service by using those same access points to load-balance their production resources. Using the queue optimization they can ensure that machines are being used to capacity and that priority projects can be send between facilities with a click. "We see Instametal as a new way to provide our technology capabilities throughout our existing markets and beyond. We expect a higher demand for our additive manufacturing organization over the next 2 years as more companies integrate small-batch production directly into their product lines. Having a powerful software solution to manage that inflow and optimize our production cycles will help us to become the worldwide leader in high-performance metal additive manufacturing." Markus Josten, Global Sales Director Disruptive Technologies and Markets. As 3D printing moves from prototyping to becoming an integrated part of small-batch production, there is mounting pressure for just-in-time production of high-performance 3D printed components. Their INSTAMETAL laser sintering department was developed specifically to meet this development. The automated tools from 3YOURMIND ensure that all 3D components are optimized for the specific GKN metal processes. The customer collaboration tools enable a clear communication between customer and producer to ensure that the entire production workflow is clear, documented and efficient. Ensuring proper material selection is another key factor and shows the GKN Hoeganaes in-house powder development capabilities as one of the most important points of the value chain to enable a successful production and satisfied customer. The 3YOURMIND platform allows customers to filter by specific physical features and verify that the 3D model is prepared for those material specifications. This is especially true for the complexity of metal models spanning a variety of technologies and post-production processes. The platform ensures that customer expectations are met and a steady production cycle is maintained. "For businesses to stay competitive as they move towards small-batch and just-in-time production, they will need to ensure that high-quality components are prepared correctly - every time. By adding 3YOURMIND’s eCommerce platform to GKN’s industrial production, we are making huge strides towards companies utilizing the potential of Industry 4.0." 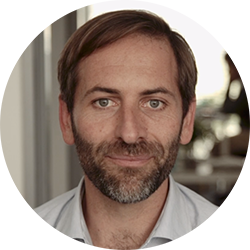 Aleksander Ciszek, CEO, 3YOURMIND. INSTAMETAL has been in open Beta since March and is already pushing both production lead time and costs down significantly. It is further reinforcing GKN’s position as a global leader in additive manufacturing innovation. 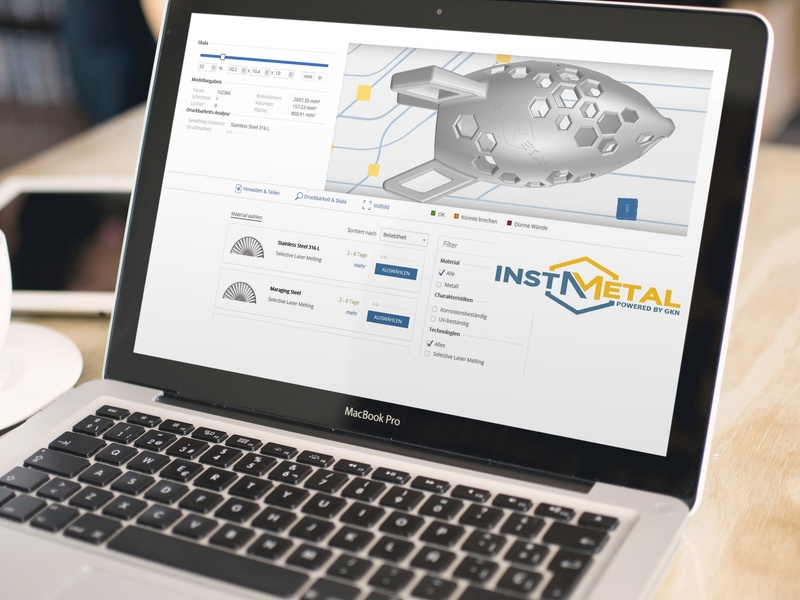 By offering INSTAMETAL services online with the 3YOURMIND platform, GKN ensures that they will be the forefront of high-performance metal component production.